It’s been a while since I posted something about food. Well, not that we don’t go out (we actually eat out often nowadays) but I don’t feel like sharing them unless it’s really something that standout for me. We found ourselves in Satwa for 2 consecutive weekends – isn’t it obvious that we miss our old neighbourhood? I am surprised that a lot has change in that area since I last visited. There’s now Jollibee, Andoks chicken and a building called Manila! Where am I hiding? Anyways, we tried Jollibee the weekend before and last Friday, it was this Korean/Japanese restaurant called Kimchee by Shogun. 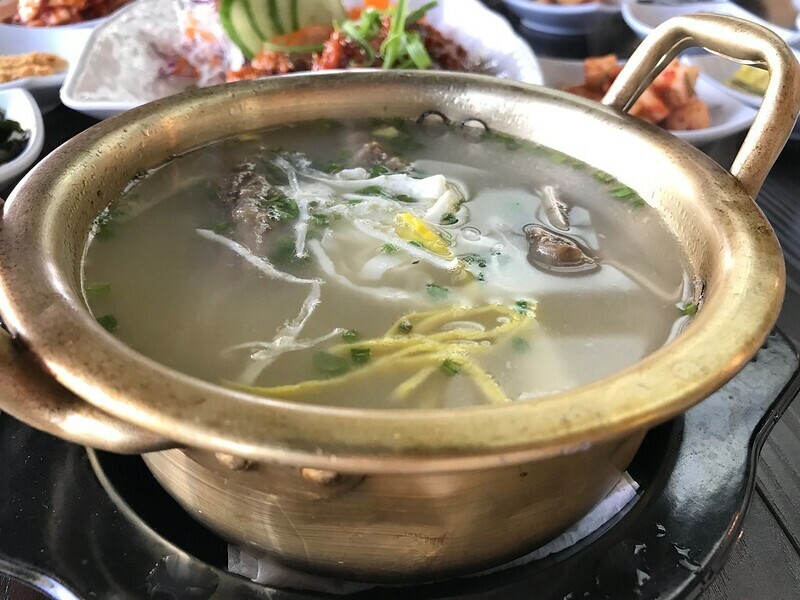 I’m really craving for Korean food last week and the only Korean restaurant that we go to – that’s HYU – moved to Jumeirah Lakes Towers. I’m not in the mood to drive as the distance from my place to JLT is like going to work already. No chance. After church last Friday, I quickly googled Korean Restaurant in Dubai and ended up checking Zomato’s site. 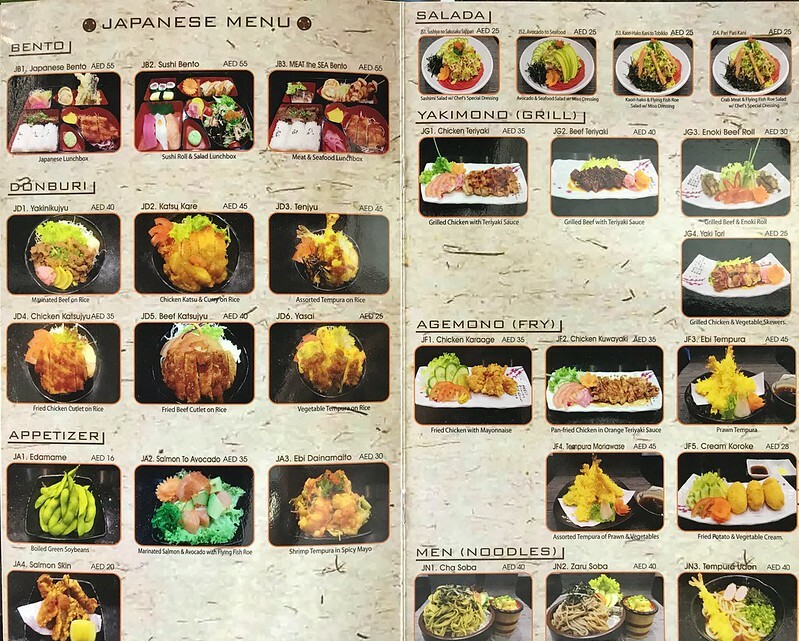 Some of the suggested restaurants are in International City (far!) or has not so good reviews. 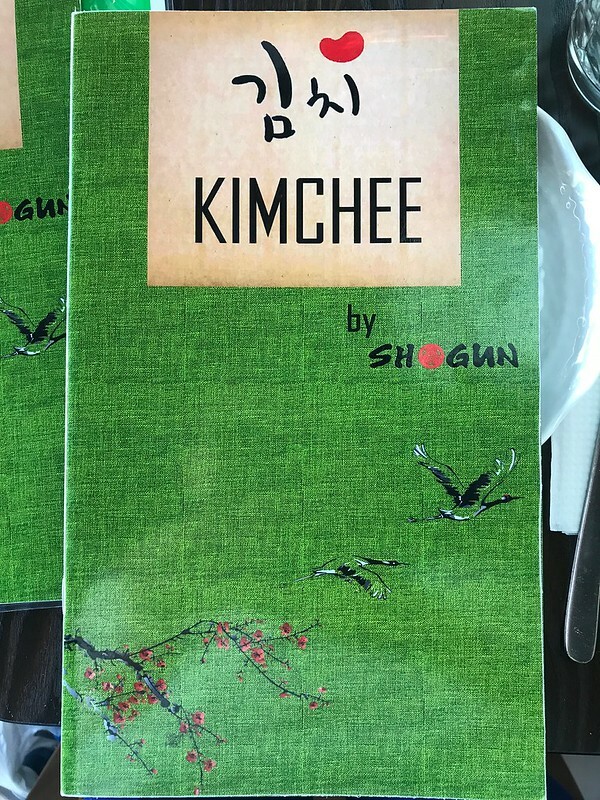 Then I saw Kimchee by Shogun located in Manila Building in Satwa. I never heard of this restaurant, it has average reviews, but the fact that it’s just in Satwa and we are in Oud Metha was reason enough to try it. As soon as we reached the new Manila building, we saw one shabu-shabu restaurant. “Is that it?”, my husband asked. 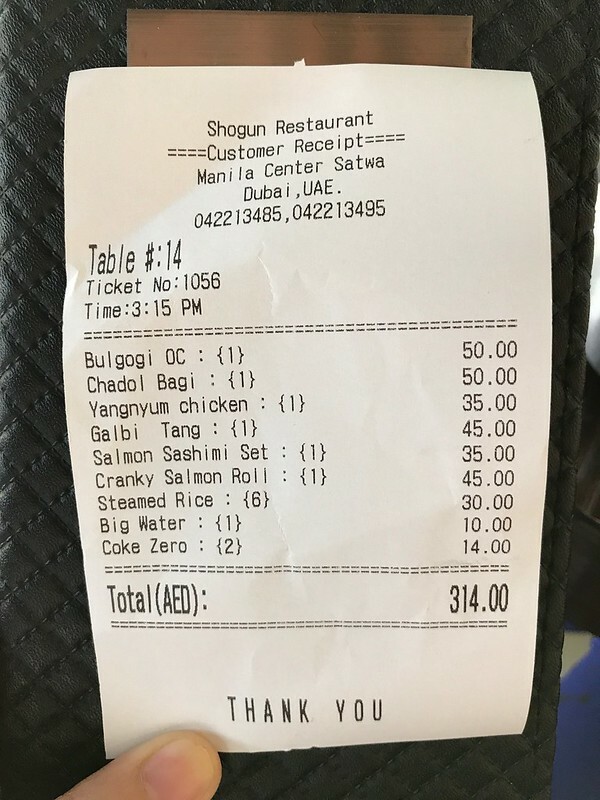 They are offering 49 dhs for an eat-all-you can shabu shabu experience. 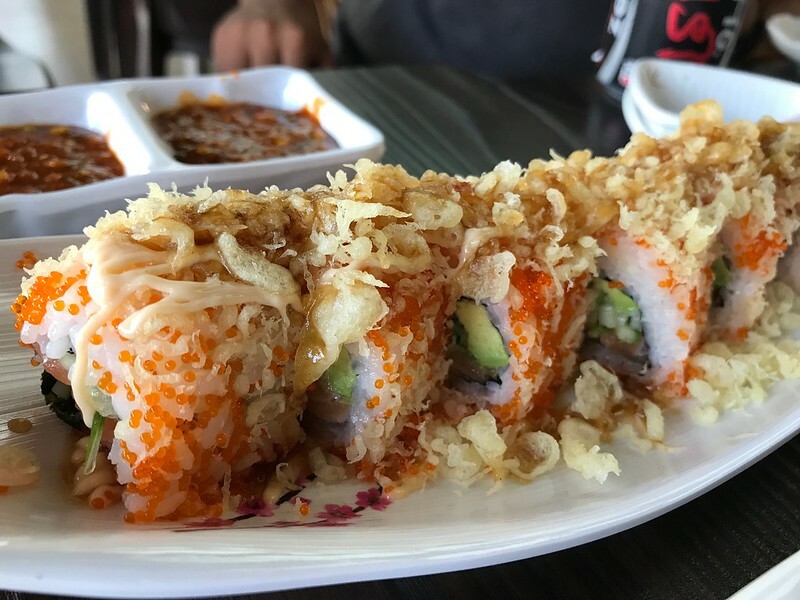 Not bad but since the reason why we went to Satwa is to try Kimchee by Shogun, I had to pass but made a mental note to try it later. 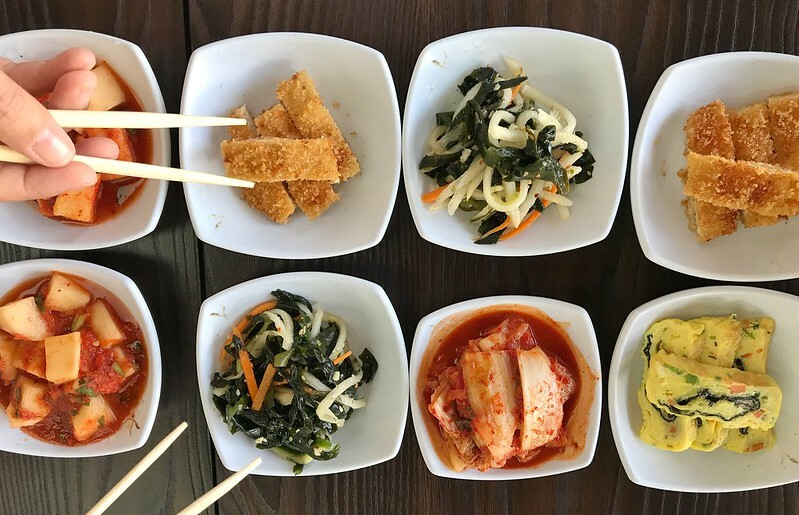 Kimchee by Shogun is on the 2nd floor of the building and hidden somewhere. If not for the roll-up banner that says it’s on 2nd floor, and some patience to walk around and use my little navigational skills, I might not be able to locate the place. 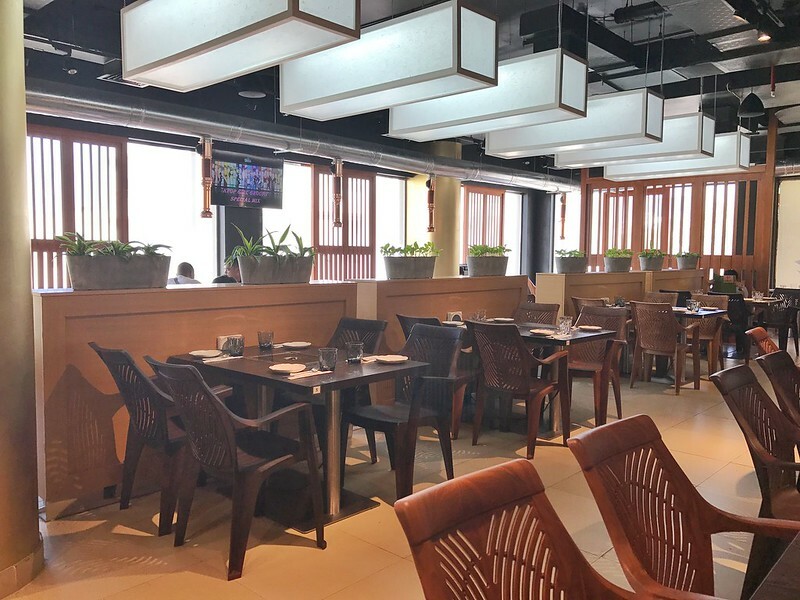 But once you find the restaurant, you will be greeted by a well-lighted place. Rooms that have natural daylight is always a plus point for me. 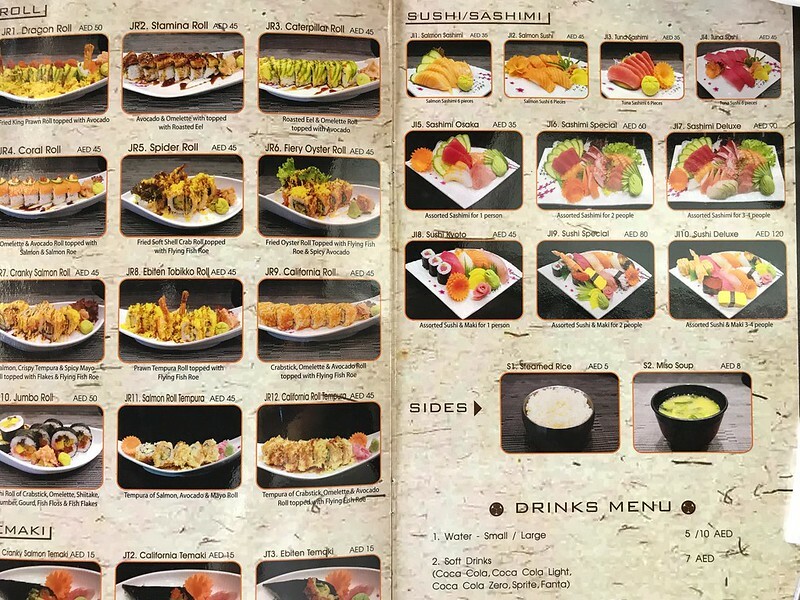 We were immediately seated and menus were given. We are a group of 4 adults and my 2 kids. 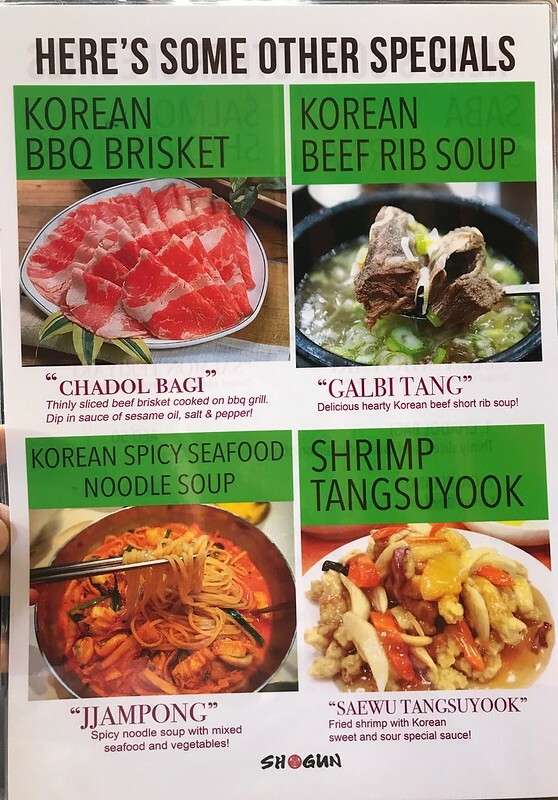 I already know what I want to order – anything grilled! But first we were served several banchans. 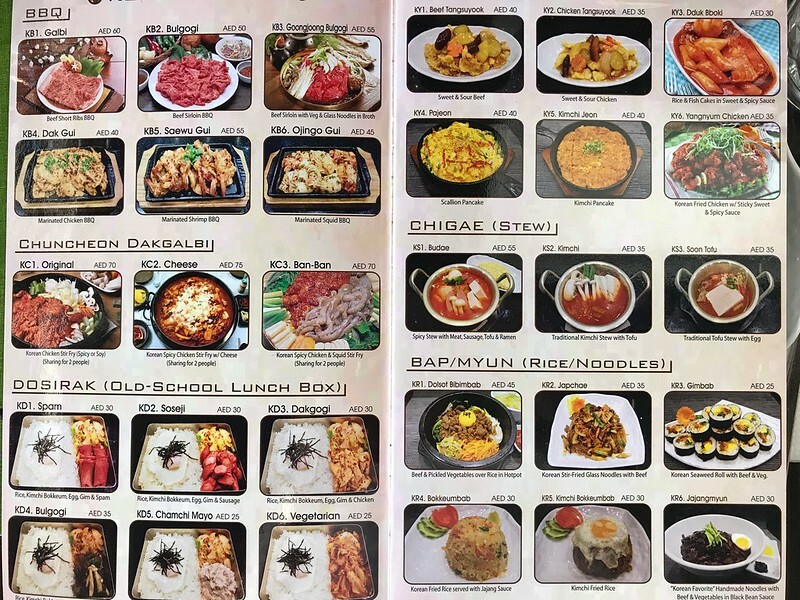 All tasted authentic except for that chicken strips which is unusual for a banchan. 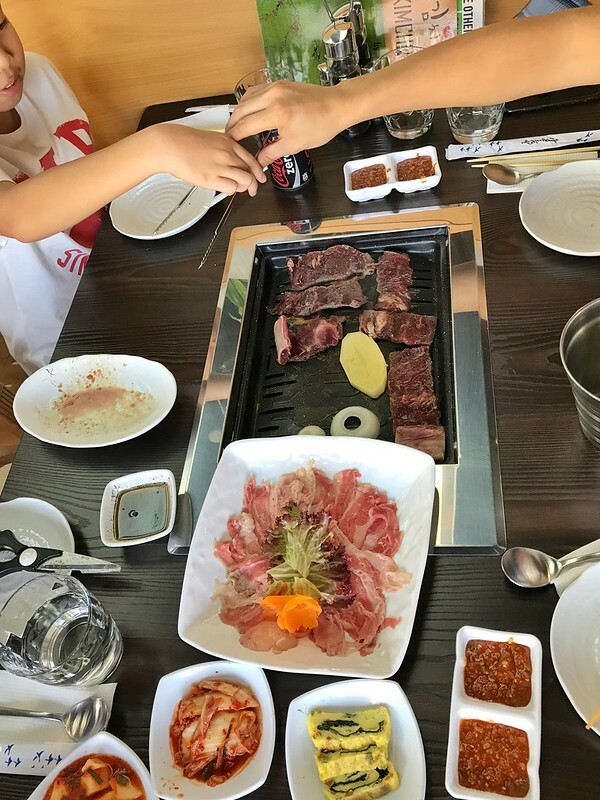 For the grilled items, we ordered Galbi (beef short ribs BBQ) and Chadol Bagi (thinly sliced beef brisket). 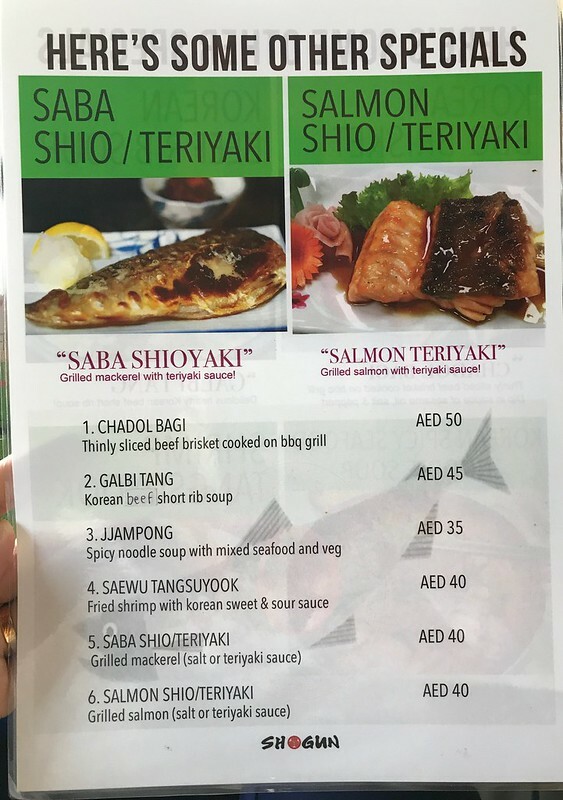 As there’s Japanese in the menu, I also ordered salmon sashimi and Cranky Salmon Roll. No picture of the sashimi though. My initial impression which I also shared with Gibson is the price of Kimchee by Shogun is relatively cheaper than HYU. 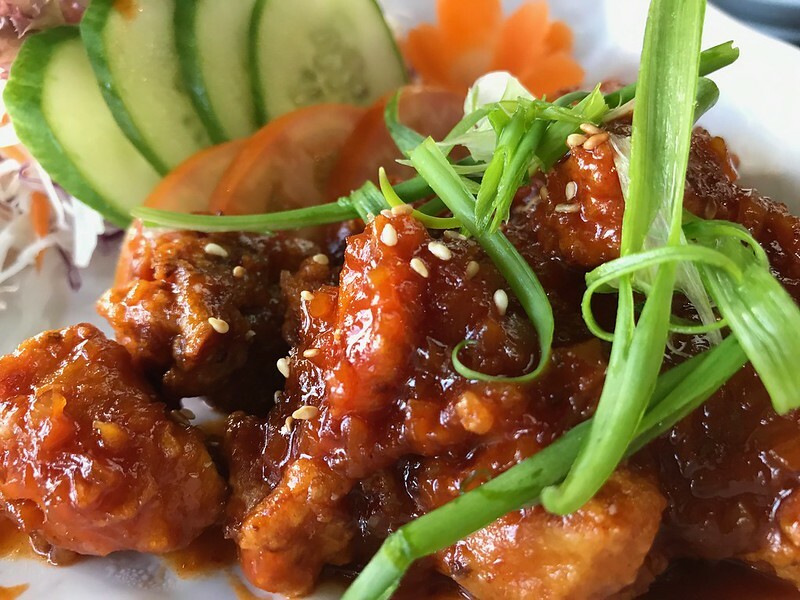 Comparing the Bulgogi BBQ which is AED 90 in HYU is just AED 50 in Kimchee by Shogun. The same with the other dishes. I would say that both of their servings are the same. The taste is not that different anyways. Although Cole said that he prefers HYU’s honey chicken way better than Kimchee by Shogun. And this dish is his fave food in the whole wide world (although he says the same thing with any pasta dish). There’s no desert available on the menu but the restaurant gives complimentary vanilla ice cream. Yum! Overall, this branch of Kimchee by Shogun is a place I will definitely visit again. 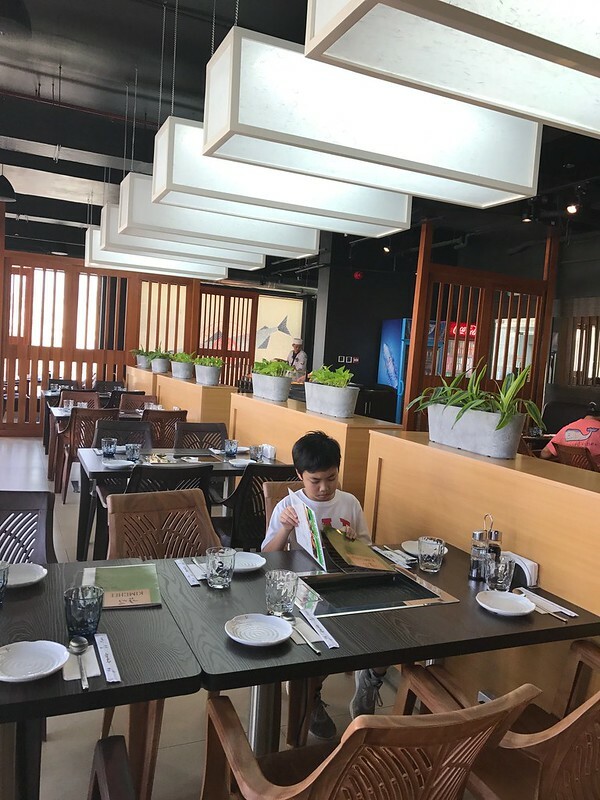 This entry was posted in Food & Dining and tagged Dubai blogger, Dubai dining, filipina expat, filipino expat, Kimchee by Shogun, Pinoy Blogger, Pinoy in Dubai.